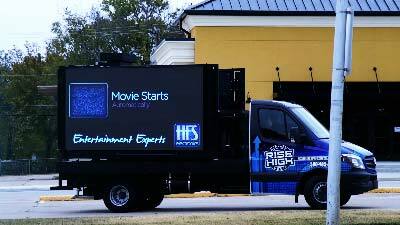 What’s Rise High Express Media? 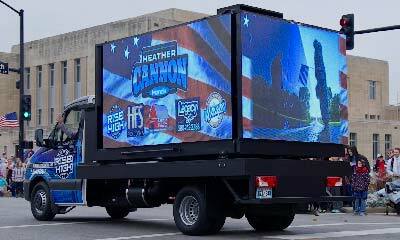 Rise High Express Media is a digital billboard located on a mobile truck with the flexibility to get your message delivered to your desired demographic area in Oklahoma and southern Kansas. We service the Oklahoma City, Tulsa, Stillwater and Wichita, KS area. 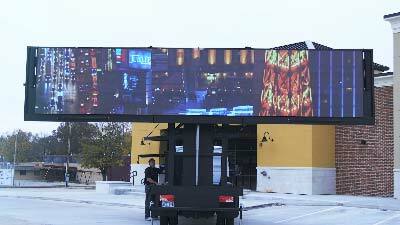 Establish your brand and message with our digital mobile billboard or stationary 27 foot screen that rises 12 feet in the air. 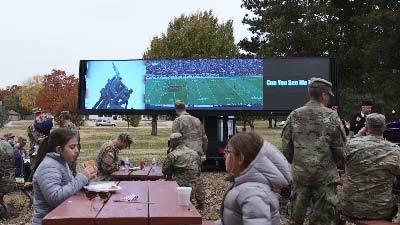 Since we have the flexibility of 3 screens on a computer platform, media can be changed quickly and efficiently. We can ensure that you reach your target market in the most effective way because we can be in a specific area or at a special event. What Can You Do For My Group? You can choose an EXCLUSIVE AD SPACE where we only advertise for you.